Yesterday’s election was the first presidential election I’ve covered as a photographer: In 2008, I wasn’t even halfway through my political reporting stint in the Missouri statehouse. But I’ve covered elections in York County before — in fact, I think my second day on the job at The Daily Record was a primary election night — and yesterday, I went all over the place. © 2012 by The York Daily Record/Sunday News. D.L. 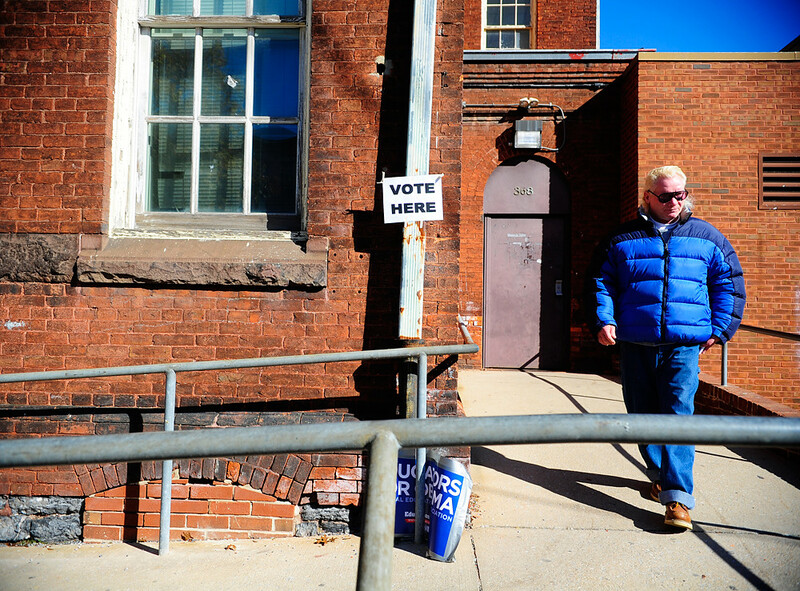 “Lucky” Wright departs his polling place at Princess Street Center in York after voting in the general election on Tuesday, Nov. 6, 2012. One thing to note about covering elections in Pennsylvania: Photographers are not allowed to make pictures inside polling places. I’m not sure how a photographer could intimidate or influence a voter in a way that the political candidates and volunteers right outside polling places can’t, but I’m pretty sure that we’re missing out on a lot of neat pictures inside those doors. © 2012 by The York Daily Record/Sunday News. 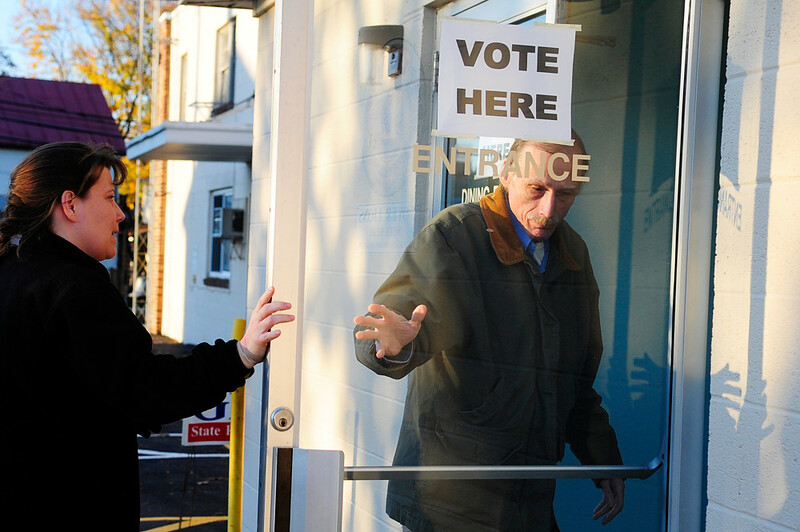 Stephen Kline holds the door open for Tricia Dashnaw as they enter Dover Fire and Hose Company to vote in the general election on Tuesday, Nov. 6, 2012. I was assigned to start working at noon, so I missed out on the early-morning lines and crowds… but I did catch a line further north in the county in the evening. © 2012 by The York Daily Record/Sunday News. 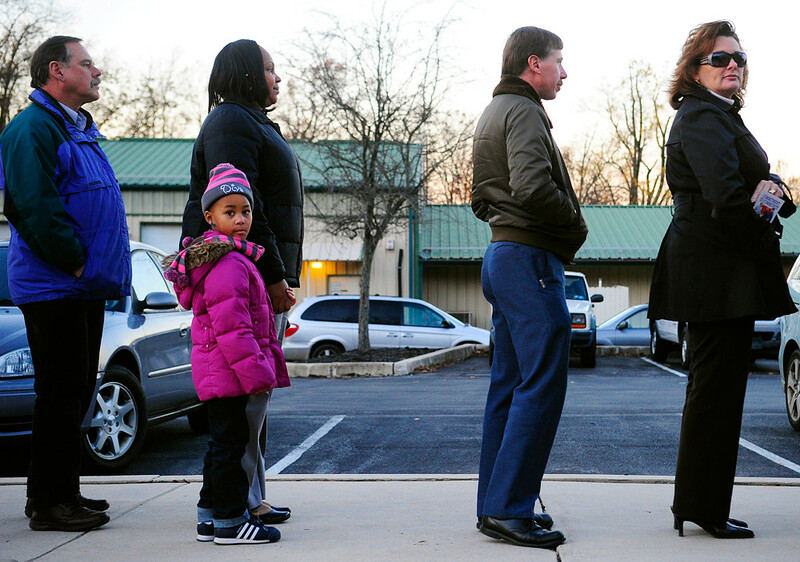 Jim Spontak, Nicole Hudson and her daughter Jenee, 4, Rick Shaffer and Kim Frischkorn wait in line to vote in the general election at the Newberry Township Municipal Building on Tuesday, Nov. 6, 2012. They said they had been waiting in line for 15 minutes already, and poll workers estimated it would be a 45-minute wait. © 2012 by The York Daily Record/Sunday News. 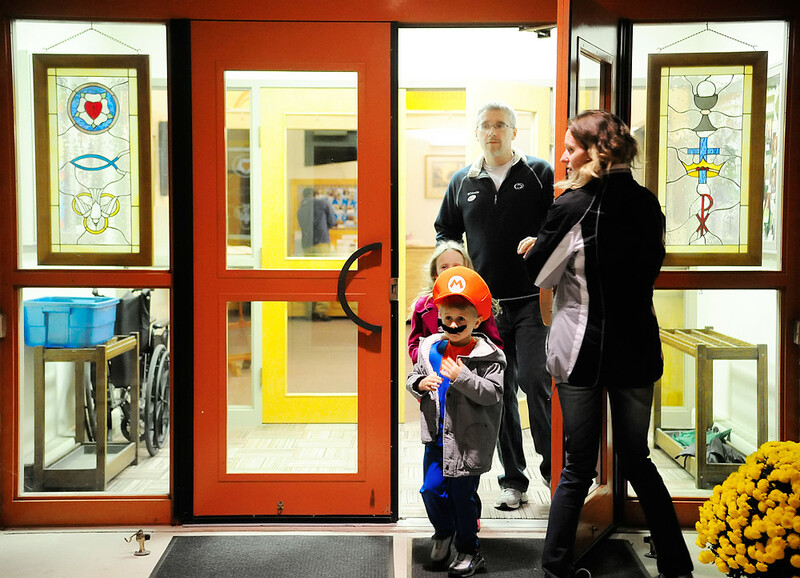 Jenn Klimchock holds the door of Zion Lutheran Church open for her husband Tim, daughter Emma, 8, and son Jack, 4, after voting for the general election in Manchester Township on Tuesday, Nov. 6, 2012. Photographing Mario on election day? If you’re not covering the actual presidential campaigns, working on election day doesn’t get much better than a kid still wearing his Halloween costume. Be sure to check out all the photos we YDR photographers produced yesterday in this slideshow.